On Friday, July 25, at 9am we will stage what we hope will be our biggest and final rally. We will meet at the same place, 10 Main Street, Tewksbury, to put the finishing touch on our week of protest and celebrate who and what we are. We are in the midst of what will most likely be the biggest and most important cause any of us will ever be a part of. The eyes of the nation are on us as we march forward with unwavering resolve to get ATD back in charge and put Market Basket back on track. Our fight has been joined by tens of thousands. Associates, vendors, media, politicians and most importantly, our customers. We call on our customers to join us Friday and make this rally yours. Your participation in supporting us by boycotting Market Basket until this is seen through is the single most powerful weapon we have. We ask that you continue to shop elsewhere and let your voices be heard both at the rally and in ASDs wallet! We fervently hope that Friday, when the Board meets at 4pm in the Prudential Center in Boston, our revolution ends with the proper resolution. 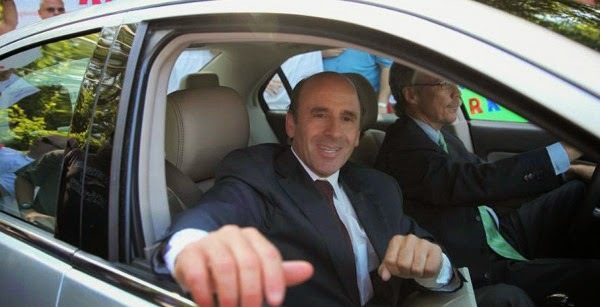 They can put an end to all of this with a simple vote to do what is right: return Arthur T. Demoulas to his role of President and CEO. The three "Independent" members, Keith Cowan, Ron Weiner and Eric Gebaide have their reputations and potentially their financial well being on the line. They have a fiduciary obligation to do what is best for this company. They must to do what is best for New England. Then must to do what is best for the customers. SAY GOODBYE TO F&G! BRING BACK ATD! 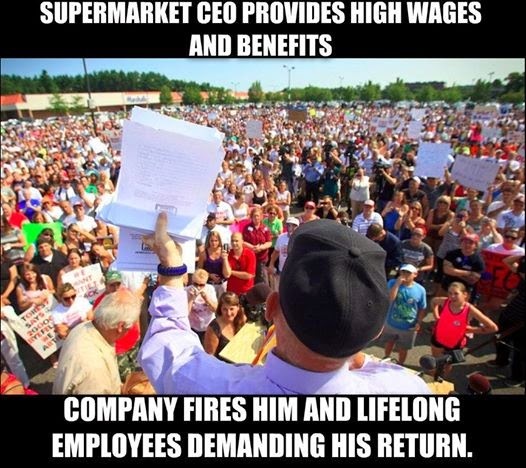 Workers of supermarket chain Market Basket are protesting at the company's 71 New England locations after the board fired longtime CEO Arthur T. Demoulas. Demoulas is adored by employees because he believes in treating them well by providing solid benefits and a profit sharing plan. Thousands of people protested at the company's headquarters in Massachusetts on Monday after management fired lifelong employees for demanding the CEOs return. Communities across New England are electrified as workers are joined by shoppers and community supporters. Store shelves are going empty because truckers refuse to make deliveries. This is the largest labor battle in the nation right now. SHARE this post to make this a national story and like the FB page Save Market Basket which has already gained 40,000 fans. We our the new media and we put Detroit's water crisis on the map, and we've already achieved a temporary victory. Let's do it again!